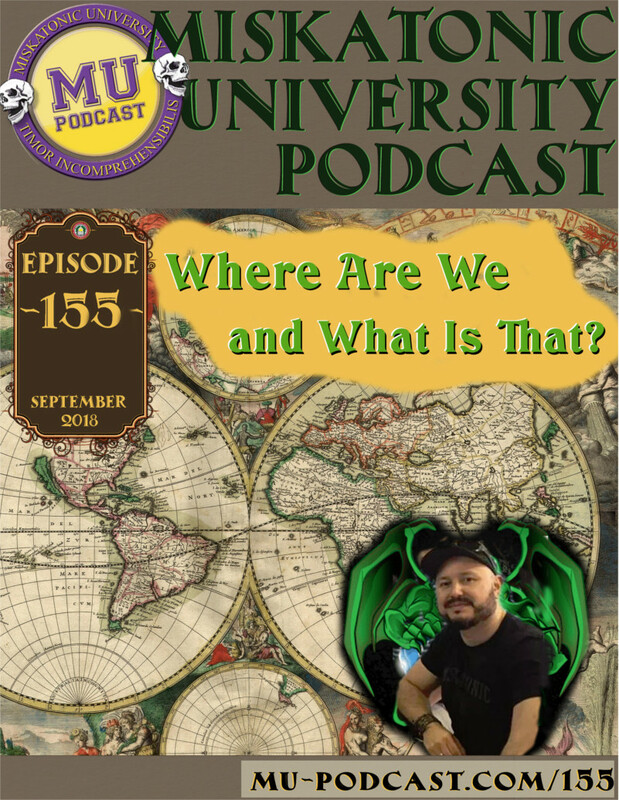 MUP Episode 155 – Where Are We and What Is That? This episode, Murph, Jon and Chad put peanut butter into the chocolate as we mix together random monsters and random global coordinates. This episode was recorded on August 30, 2018. Occam’s Razor, a collection of scenarios for Call of Cthulhu by Brian Sammons! This is a collection of modern scenarios that have a dark tone, “more akin to True Detective and American Horror Story and is written for Mature Gamers Only. The scenarios look into the dark heart of humanity and the mythos… but this book has a twist.” The twist is that the scenarios seem to have link to the Cthulhu mythos but they have mundane causes and outcomes. Zweihander is about to kickstart a new supplement called Main Gauche, which looks dark and weird as hell on their page. Doctor Cthulittle – an illustrated tale. This is a completed Kickstarter from December 2017, but Jon got it from his local comic shop – and it is amazing! Haunting of Hastur available in print or at DTRPG. The Haunting of Hastur just had a successful KS to produce the 5e and OSR 4-part adventure scenarios in print. But many of them you can get now on DTRPG. A big Salute to SKYPE OF CTHULHU for 500+ episodes!!! And a big thank you goes out to..wait…to DAN this time for editing the show! Thankorry very much Dan for editing this one. This episode, let’s kick it off with an installment from Mr. Tyler, with a deep dive into a seminal weird fiction story: The Derelict. Then, we have the first episode in Season Two of Glimpses into the Empire. Let’s gaze up at the timeless stars for a story about the surprising fate of one Roman Astrologer. We have some audio feedback from Ritterton. The Google transcription is just too weird to post.